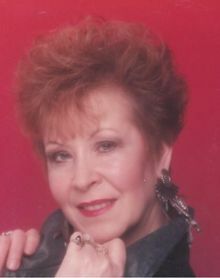 CENTRAL CITY - Dinah Kay Holtzclaw Faircloth, 71, of Central City, passed away on Wednesday, June 4, 2014, at Muhlenberg Community Hospital. Mrs. Faircloth was born December 6, 1942 in Carmi, Illinois, the first child of Hershel and Juanita Bradshaw Holtzclaw. She was a beautician by vocation, working and owning shops in five states. She was an outgoing, unique person who loved music, dancing, and never met a stranger. She was a member of South Carrollton Missionary Baptist Church, but also enjoyed attending several churches in this area until her health prevented such attendance. She was preceded in death by her father, Hershel Holtzclaw. Survivors include her daughter, Marlena Anderson of Central City; grandson Beau Burress of Central City; mother Juanita Purcell of Greenville; sisters Paulette Powell and Samantha Maxwell, both of Greenville; brothers Richard (Becky) Holtzclaw of Central City and Dewey (Sheryl) Holtzclaw of Newburgh, IN; and several aunts, uncles, and cousins. Funeral services will be Saturday, June 7, 2014, at 1:00PM at Tucker Funeral Home in Central City, with Bro. Kerry Vincent officiating. Burial in Kingdom Cemetery in Carmi, Illinois. Visitation will be Saturday after 11:00AM at the funeral home. Dinah's wishes for cremation were honored. Online condolences may be made at www.tuckerfuneralhomes.com.